FOMO (fear of missing out) is a real condition, I’m convinced. I snatched up this beauty about 3 weeks ago when I saw it on the shelves at Sephora and I’ve worn it almost everyday since. Yes the Naked palettes are nice and they have been stupendously successful for Urban Decay but I’m so glad that they’ve gone back to their roots with their new Electric palette. My very first quality eyeshadow palette was the original Deluxe Palette from Urban Decay about 7 years ago and I haven’t looked back since! Urban Decay were originally known for their crazy brights and bold pigments and they are back in full force with the Electric palette. revolt– a glittery silver, gonzo– a matte blue with a hint of turquoise, slowburn– an orange red matte with floating micro shimmer, savage– a hot pink matte, fringe– a metallic teal, chaos– a matte cobalt blue with floating micro shimmer (one of the standouts of the Vice palette), jilted– a slightly shimmery fuchsia with a blue shift, urban– a metallic medium purple, freak– a metallic neon green, and thrash– a chartreuse matte with floating micro shimmer (an exact dupe for NARS ‘rated R’). Everywhere but the U.S., the Electric Palette is an eyeshadow palette. Because of a technicality, in the U.S. it’s considered a multi-use artistry palette. To get the most out of this palette, experiment and see what works for you. 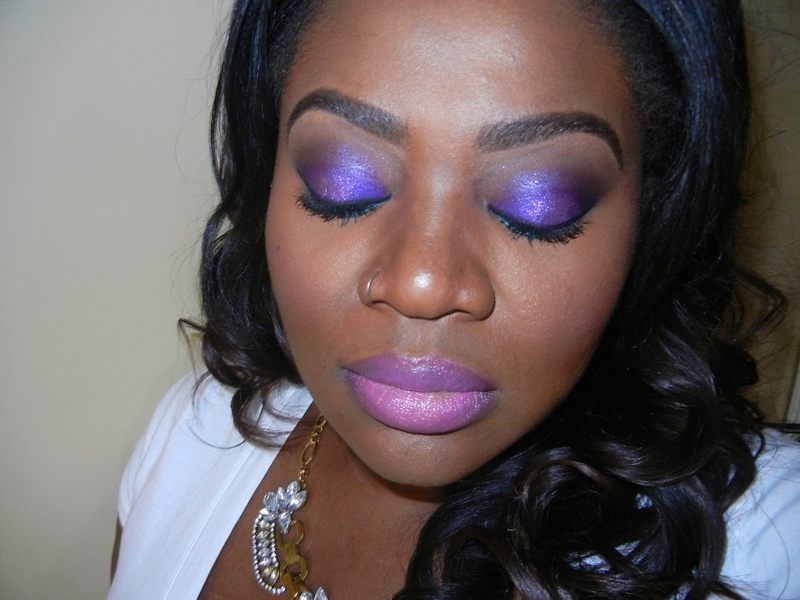 You can use the Electric Palette all over (and that’s where the creativity comes in!). The colours swatch easily on my skin, even the mattes which can tend to disappear on darker skin tones. I think the fact that most of the mattes have a slight floating micro-shimmer contribute to their creaminess. The micro particles don’t really show up on the skin but they do contribute to a happier blending experience. I own the original Vice palette and the chaos in this palette is better in my opinion. I have no idea if they reformulated the colour but I feel as though it’s slightly more pigmented here. Chaos is a beautiful colour but I do wish that they’d only had chaos OR gonzo. The palette has quite a few blueish shades and I think that gonzo is one blue too many. I wish they’d replaced it with a bright yellow and it would have been just about perfect. I was initially unsure about the purpose of revolt as well but I’ve seen a few people do some interesting things with the shade. The palette also comes with a very decent double-ended brush and the smaller end works really well as a liner brush. Both ends have quite stiff bristles which is great for the nature of the eyeshadows as they lay down colour better. The packaging is also a winner in my book as it’s non bulky and the case opens up to a large mirror. The hinge ensures that the mirror stays where you want it to and the magnetic closure is very secure. Now on to how the colours look on my face! 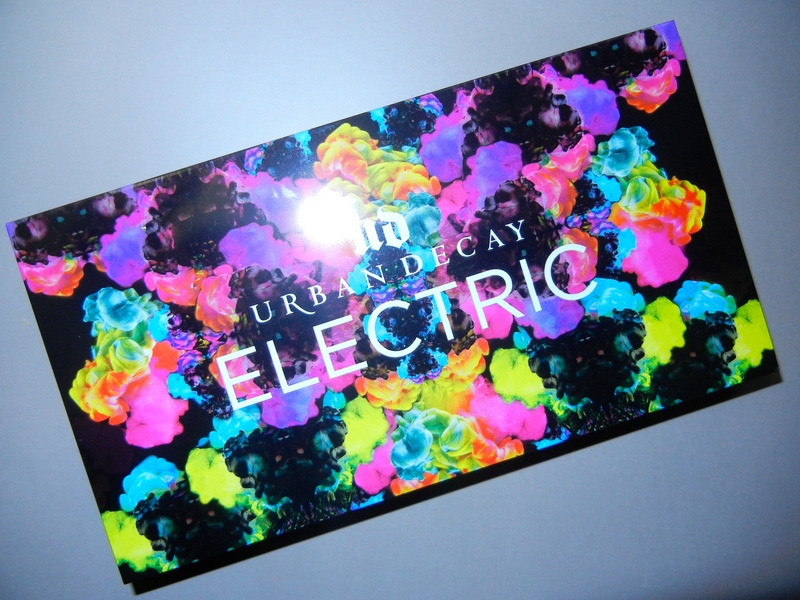 Are you as in love with the Electric palette as I am? If you’re undecided, the palette is a permanent addition so you have plenty of time to make up your mind. The palette retails for $49 and can be found at Sephora, Ulta, and on the Urban Decay website. Let me know your thoughts! 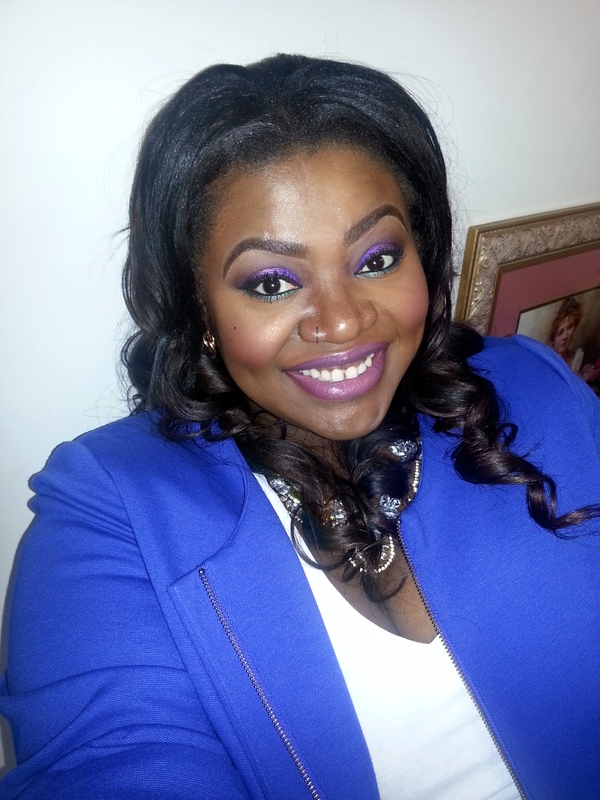 This entry was posted in Beauty, Makeup, Reviews and tagged Bite Beauty, Electric palette, eyeshadow, eyeshadow palette, FOTD, Marc Jacobs, MUFE, palette, palettes, reviews, Sephora, swatches, urban decay. Bookmark the permalink. That purple is LIFEE!! The whole palette is gorgeous!! I didn’t think it would work that well on deeper skin tones but obviously I was very wrong! You’d love this palette Natalie! it’s surprisingly wearable despite the day glo colours.